Los Angeles is a very naturally post-modern city. There’s no center. There’s disparate elements jutting up against each other. It’s just so jagged and fragmented–even the start stop in the traffic. But I feel like it’s going to be the 21st-century American city because the internet makes it less important how the physical organization of the city works. This is the geographical articulation of our moment in time. The country’s longest running theater of color, Los Angeles’ East West Players, is approaching it’s 48th season. Founded in the wake of the Watts Rebellion (1965) to promote healing in the city by sharing stories from within ethnic communities, East West Players has premiered over 100 plays and musicals about the Asian American experience. Artistic Director Tim Dang explained that in the early days of the company, Asian American actors were eager to play Chekov and Shakespeare in traditional productions, and it wasn’t until the 1970s that they began a writer’s program to develop work specifically by Asian American writers. 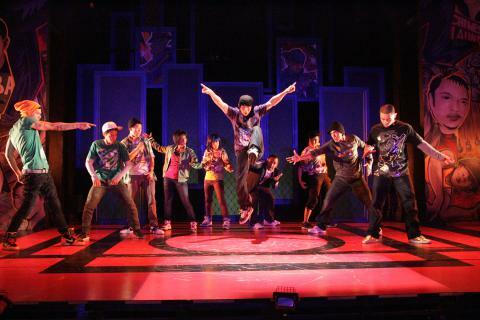 Today they do new plays and musicals and classics resituated in an Asian context. We thought would be easy to become part of the neighborhood and grow our audience from a 99- to 240-seat theater, but that did not happen. We definitely had to work very hard to get our audience come to a new destination and to make sure other Asian ethnicities didn’t think we were just a Japanese theater. Today their audience is 54% Asian and 46% non-Asian. 75% of all Asian Pacific performers in the acting unions living in Los Angeles have worked there. The company has become a leader in Hollywood in advocating for Asian American story lines and characters and has contributed to the national dialogue around whitewashing (casting white actors to play ethnic roles). In two decades 50% of Americans under the age of 30 will be mixed race. Mixed-race actors now have trouble getting cast because they either don’t look Asian enough or they don’t look white enough. Interestingly, Equity has okayed the moniker “ethnically ambiguous” for casting. So when we look for actors now, we look for Pacific Highlander, South Asian, and ethnically ambiguous. And as more and more children are born out of interracial marriages, East West Players’ casting policy will have to continue to evolve. Originally, I wanted to write myself into the culture. I spent 20 years building a body of work presenting the perspective of ‘If we all are citizens and self-determining and self-defining then we are constantly narrating who we are in the culture.’ Now life has gotten more subjective because everybody has more possession of what determines and defines their lives: blogging, texting, internet-ing. People are really expressing themselves a lot. And so as things are shifting the reason for narration is changing. Tuan’s play Iggy Woo was read as part of a spring reading series produced by Artists at Play, an three-year-old Asian American theater company whose model Tuan says reflects the fact that 20th-century institutions can not always represent the complexities of our time. An affiliation of four producers (Julia Cho, Peter J. Kuo, Stefanie Wong Lau, and Marie-Reine Velez), Artists at Play has done one full production per year and a reading series as part of their mission to present theatrical productions “missing from our local landscape” that tell the stories of underrepresented communities. Ching Chong Chinaman would have been a huge risk for a theater with a subscription base. For us it was a way of making a mark and establishing what we’re about. 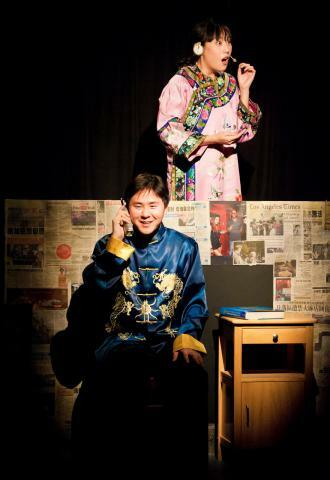 This play delves into stereotypes in an absurd, inappropriate way that turns them on their head. We’re focused on finding new plays that tell new stories in new ways. The last show we did and our upcoming production involve Asian American characters but their race doesn’t dictate who they are, it’s just a part of who they are. We explore the intersections of Asian American identity–like sexuality, class, all the different aspects that make a whole person. Our next play deals with interracial dating and contains specifically Asian characters, but you can broaden it out to be about interracial dating between any races because there’s always assumptions people bring to the table based on the stereotypes of those races. The youth of the producers and the collective rather than institutionalized structure of Artists at Play is reflected not just in their content, but also in their fundraising and use of social media. For each production, they create an Indiegogo campaign. They’ve held several “Epic Yard Sales” during which they sell items donated by audience members. They once held a rock-paper-scissors tournament in which supporters paid to participate. At present, Artists at Play has no plans to rent an office, nor do the producers want to quit their day jobs. They meet in person once a week and use Google Hangout to work together online. Maybe it’s an LA thing because the industry is so afraid to take chances. Asians are still seen as the other. People can’t wrap their heads around justifying the presence of this person who looks different. But it’s 2013 and theater involves suspension of disbelief. Shouldn’t we be able to play and take risks and have a family of actors that are all various shapes and colors? It’s theater. Why can’t we do that?